CactusVPN is a service based in Moldova. It provides connections to a global network of servers with top quality features and a user-friendly interface. OpenVPN encryption is extremely strong and has a number of options that can be toggled. The VPN also has a number of excellent security features such as a killswitch and DNS leak protection. Sadly, it did not unblock UX Netflix - this may be a deal breaker for some! 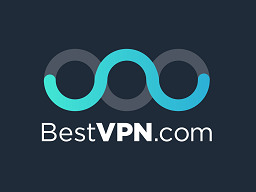 BestVPN.com uses a custom server-based speed test system to provide you with more accurate results than other VPN comparison sites. For more information click here. As you can see from our results, CactusVPN’s server speeds are better than average - but not as good as the top VPNs on the market. CactusVPN has an average download speed of 21.3 Mbit/s and a max download speed of 64.5 Mbit/s. This puts CactusVPN is the lower-end of the top half of the market. Our tests revealed that CactusVPN has no IP, DNS, or WebRTC leaks. This means it is secure for privacy purposes. To test CactusVPN for leaks visit ipleak.net. CactusVPN's "Liberty VPN" subscription plan includes both its VPN and Smart DNS service. That plan is $6.99 per month. $17.99 for a three-month subscription (5.99 per month). And $54.99 annually ($4.58). Liberty plan provides access to all servers and server locations and provides P2P support. Smaller plans include a US and UK-only VPN, and an option for the Smart DNS service only. All major credit cards, PayPal, and Bitcoin are accepted. In addition, CactusVPN offers a free 24-hour trial for both its VPN and DNS services and a 30-day money-back guarantee to trial the service risk-free. CactusVPN has a strict no logging policy. CactusVPN never stores IP addresses, traffic logs, connection timestamps, used bandwidth or the session duration. Thus, there’s no worry of usage data being handed over to third parties. That being said, CactusVPN does state that it may “send personally identifiable information about you to third parties” if they have your consent or if they receive a warrant that requires them to disclose available information to the authorities. That means your name, date of purchase, and payment method could, in theory, be disclosed to law enforcement. This is as good as a VPN policy ever gets - so CactusVPN is considered excellent. All in all, this is excellent encryption implementation that is much, much stronger than the last time we checked it. This makes Cactus extremely good for data privacy. We are happy to see that CactusVPN is working hard to keep itself up to date in terms of security. CactusVPN is a much better VPN than the vast majority of services on the market. It is good for unblocking censored or geo-restricted websites and services (though it does not work with Netflix). Torrenting via P2P is permitted and is secure thanks to its no logs policy. OpenVPN encryption is great but could be stronger. To be fair, however, it is adequate for most people's needs. Its server network isn't massive, but it does have a nice choice of server locations around the globe. Also good news, CactusVN provides a 24-hour free trial– and if you aren't quite happy when you subscribe, you can make use of its 30-day money-back guarantee. To conclude, CactusVPN is a good all-round VPN that we enjoy using and that we have few criticisms of. Not the best - but you could do a lot, lot worse. Terrible customer service and no refund. Their connection always drops, I can't complete a few GB downloads. They sent this text for every problem, Please try the following: Connect to different VPN servers (cities). Connect using different VPN protocols. Disable your antivirus or firewall if you have any installed. They can block the connection. If you have a router, check if it supports PPTP and L2TP VPN passthrough and if it's enabled. If the problem still persists, let me know more about your problem: On what device (PC, phone, tablet, TV, etc) and operating system (Windows, macOS, Android, iOS, etc) you try to set up our services? Did you use the CactusVPN app or created the connection manually? What error do you get? Don’t ignore your system's errors. Many times the careful reading of messages helps to fix the problem. Tell us your router model, if you have one. And at the final they want to trouble shot remotely via Team Viewer, I doubt they know what kind of service they are selling, why people pay for VPN. And anything with Google a thumb down for me. I can't trust Google in any manner, they don't allow you use their service without collect your data. Hands down the best company for DNS, on the rare occasion something goes wrong the email response is virtually instant and problem sorted straight away and very polite staff.